The deadline for SRAS’ Home and Abroad Scholars program is fast approaching: May 1! This scholarship program, worth up to $10,000, combines an intensive internship with a study abroad program to Russia or Kyrgyzstan. We especially encourage students interested in history, anthropology, environment, military, and/or culture to apply. Study abroad while building your resume and professional portfolio of published work! 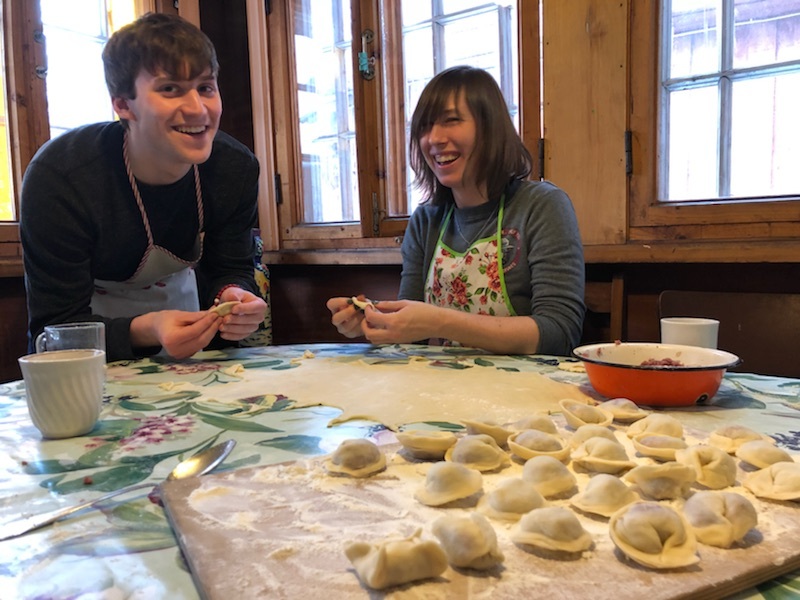 Home and Abroad Scholar Katheryn Weaver making pelmeni in Russia while on an SRAS excursion to a Russian dacha!